The Hyundai 15-20ERSP electric reach stacker delivers economic performance with maximum safety features. With limited space and packed warehouses, manoeuvrability is the key. 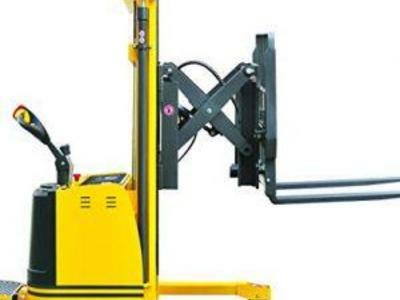 Lifting to 2000 kg, the walkie reach stacker eliminates the need to manually handle those heavy loads. This versatile materials handling equipment can be used in narrow workspaces. The reach facility solves the problem of stacking over product and unloading trucks as the reach function moves the load forward. Electronic power steering and proportional lifting and drive make the ERSP range easy to manoeuvre. Ease of operation improves operator safety and increases productivity. A maximum mast lift height of 5500 mm means it can be used in most warehouse situations. Warehouse Equipment is based on precision. 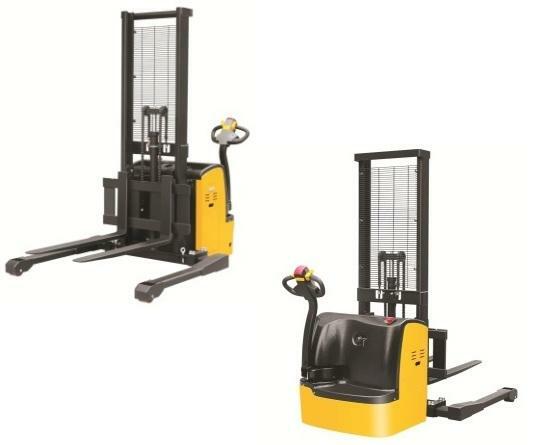 The Hyundai 1.5 tonne straddle leg electric stacker delivers economic performance with maximum safety features. With limited space and packed warehouses, manoeuvrability is the key.